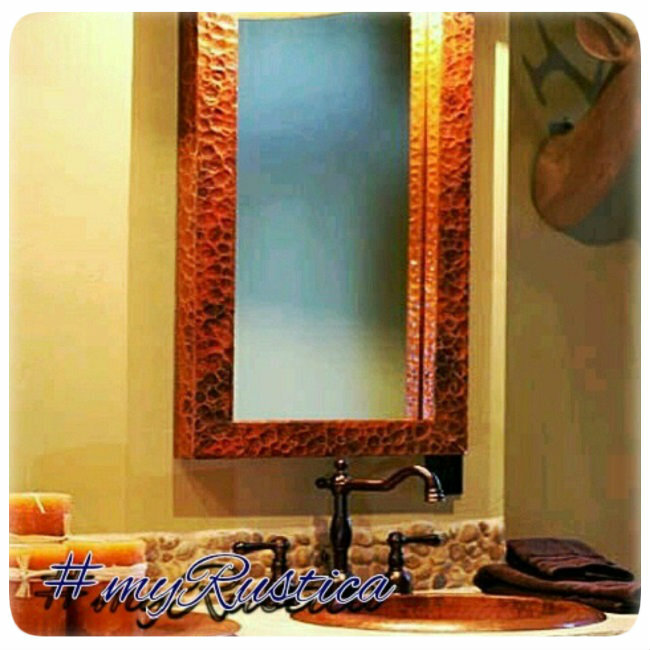 Click the button below to add the Round Copper Mirror "Nezahualcóyotl" to your wish list. "Nezahualcóyotl" copper mirror is hand crafted as round with patina color options. Its Spanish look will blend nicely with any home wall decor. This copper mirror is offered in four standard dimensions. Since our mirrors are custom made and shipped from Mexico, it takes four weeks to produce the frame #A227 and deliver to the US mainland.